The neurological basis of bravery and risk-taking may depend on the activity of a subset of cells in the hippocampus, according to scientists in Sweden and Brazil. Studies by Sanja Mikulovic, Ph.D., at Uppsala University, and Richardson N. Leão, Ph.D., at the Brain Institute, Federal University of Rio Grande do Norte, have shown that stimulating oriens-lacunosum moleculare (OLM) interneurons in the hippocampus of rodents drives a kind of brain rhythm known as theta2 oscillations, which increases the animals’ risk-taking behavior when subjected to the smell of predators. The findings could feasibly help scientists develop new approaches to treating severe anxiety or depression. “It is fascinating how different regions of the same brain structure control distinct behaviors and how they interact with each other,” comments Dr. Mikulovic. “Identifying specific circuits that underlie either cognitive or emotional processes is crucial for the general understanding of brain function and for more specific drug development to treat disorders,” says Dr. Mikulovic. Adaptive anxiety that we all may experience in uncomfortable or potentially dangerous situations is an important protective mechanism, but when everyday levels of anxiety are too high, they can severely interfere with normal daily activities. Antidepressants are currently prescribed for anxiety disorders, but they can have side effects, and don’t target any single brain region that may be responsible for driving that anxiety overload. Finding which specific cells in the brain promote and control anxiety could lead to new treatments for anxiety and related disorders, such as depression, which have fewer side effects than currently used drugs. Studies by the Uppsala University team have now demonstrated that directly stimulating OLM cells generate the same type of theta brain rhythm that animals display when they are in a threatening environment, but still feel safe—for example, when hiding from a nearby predator. The new study results showed that the degree of anxiety and risk-taking behavior could be controlled by manipulating these OLM cells. Using electrophysiology and optogenetics—a technique that can be used to control individual neurons that have been genetically engineering to express light-sensitive proteins—the team showed how blocking or stimulating the activity of OLM cells in freely behaving mice could change how they responded to predator threat, for example, the smell of a cat hair placed somewhere in their environment. OLM cell stimulation led to a “considerable increase in risk-taking behavior,” whereas inhibiting OLM cells “significantly decreased naturally occurring theta2 and risk-taking behavior.” Of particular interest was that OLM cell activity could be controlled pharmacologically. 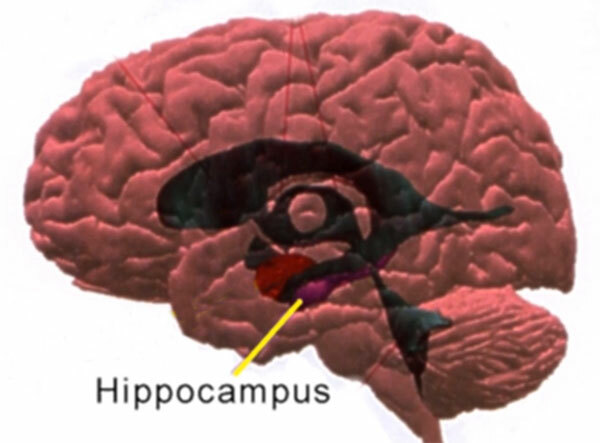 The same research group has previously shown that OLM cells are involved in memory retention in the hippocampus, and that they are sensitive to nicotine. “This finding may explain why people binge-smoke when they are anxious,” comments Dr. Leão. The team hopes that the ability to identify pathways that specifically modulate risk-taking behavior could lead to the development of new treatments for severe anxiety, a disorder that is often characterized by reduced risk-taking behavior.